Interior Design Principles shared an awesome post showing the inside of celebrity homes. This is a photo of Brooke Shields' New York home. 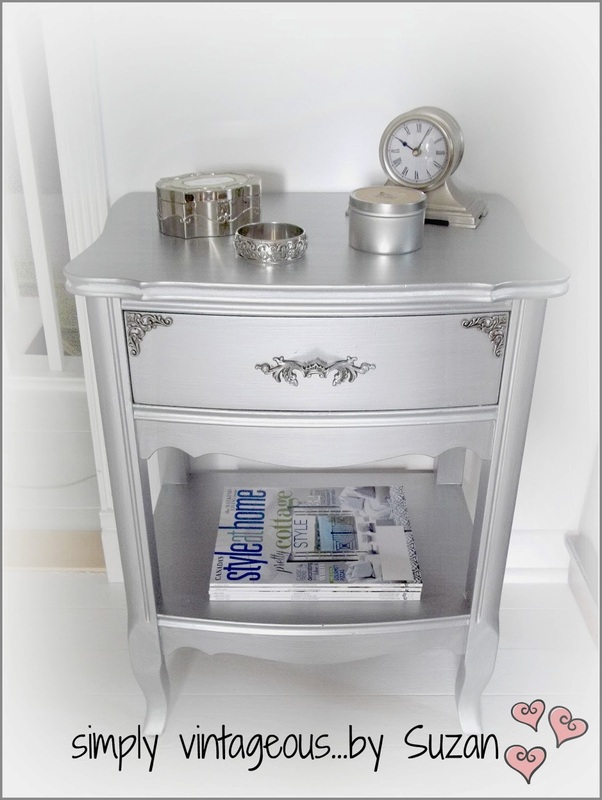 Simply Vintageous transformed old end tables into these metallic beauties. The appliqués were actually found in the scrapbook section. 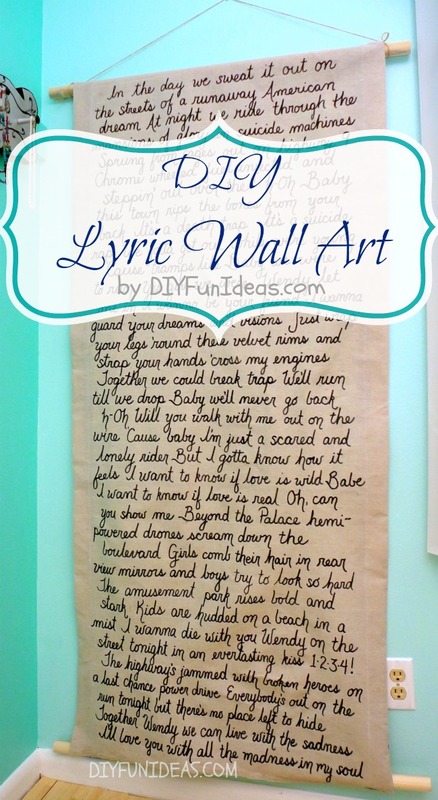 DIY Fun Ideas shared a super cute idea for DIY lyric wall art. 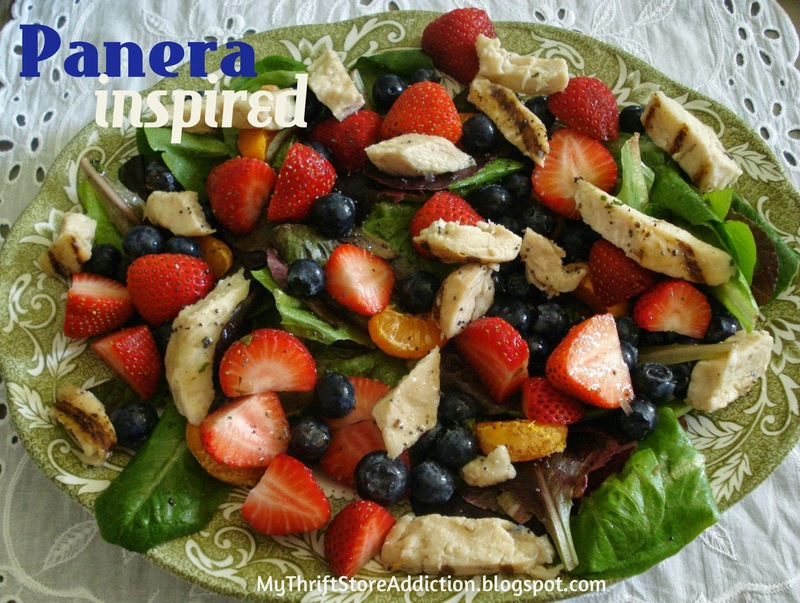 My Thrift Store Addiction shared a recipe for a Panera inspired strawberry poppy seed and chicken salad. Yummy and healthy looking. Thanks so much for the feature - what an honor to be included with such great posts! And many thanks for hosting another great party! Thanks for hosting again - great features! I am in love with Brooke Sheilds' home. Now I want to paint a room that color! Enjoy your week! Thanks for hosting, Judy! Hope you are having a great summer so far. Great features, Judy! Thanks so much for hosting! Have a great week! Thanks for hosting such an awesome party. I'm loving your blog. Thank you for hosting, Judy! Really nice features this week! Thanks for the party! Love it & your site. This is my first time linking up to your party! Love your blog! Thank you so much for hosting, Judy! Great home transformation and love the outcome of the metallic table. Really worth to share!